Second post for today, but I wanted to share some of my current favourite glitters for any New Years celebration. I haven't done a New Year's Party makeup look because it would be very similar to my Christmas looks I've done. But I thought I would give you a few different nail looks you can do. 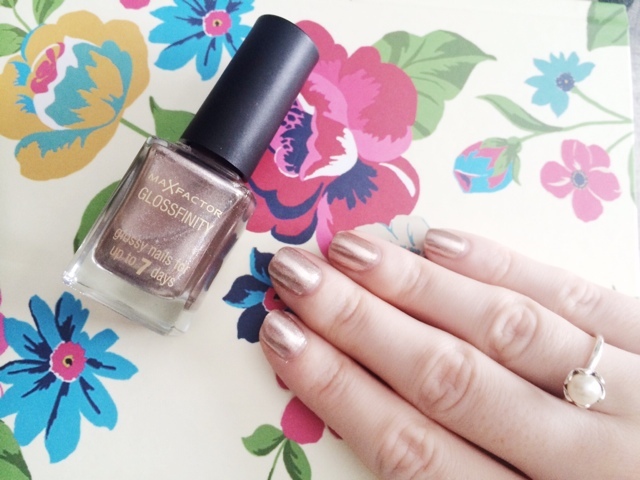 Maxfactor GlossFinity in Angel Nails - which is a stunning silver/pink sparkly bottle of goodness. This is a great formula and a stunning shade. I'm in love with this polish and I've reapplied it to each nail at least twice so far. Models Own in Obsidian - a really pretty grey and silver glitter polish. The finish is actually matte but I don't like that for a glitter polish so add a regular top coat over top and it's nice and sparkly and shiny. Who wants matte glitter? Essie in Summit of Style - a beautiful glitter polish with a clear base, and gold/bronze chunky glitter, but there's tiny glitter particles in there too. This can go over whatever colour you like as it has a clear base. There's so many beautiful glitter polishes out there that would be perfect for New Years. Whether you do an accent nail or go all out and do it on all of your nails. These are perfect for either. 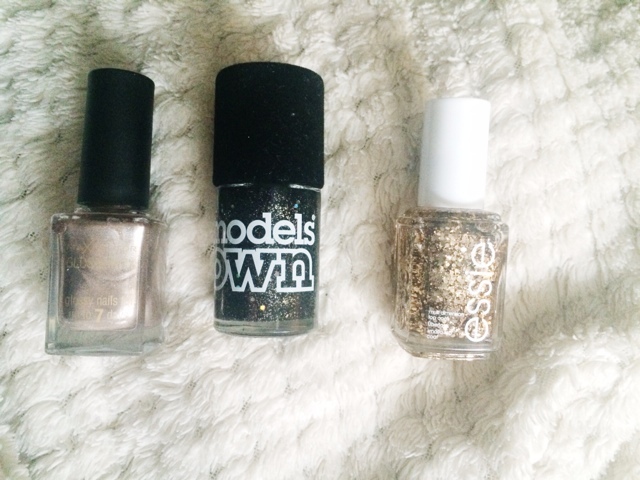 What nail polish will you be wearing to your New Year's Eve celebrations?